You are here: Home / Roof Leak / What Happens When You Ignore a Shingle Roof Leak? Has your shingle roof been leaking? No roof is going to last forever, so when your shingle roof springs a leak, you have two options. 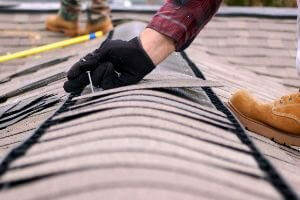 You can get it fixed with the help of one of the leading roofing companies in San Antonio, or you can ignore the leak. What’s your option? Here in this blog, we have shared a few problems that can happen if you ignore a roof leak and or slack on your roof maintenance. Repairing a leaking roof isn’t something that you want to do often. Even if the leak is small, if it is ignored and delayed for a long time, it will weaken the roof and shortens its life. This demands the need for a roof replacement. The best way to expand its life instead of shortening it is to fix small leaks quickly with the help of professionals who are the experts in roofing in San Antonio. A simple water leak can damage the interior ceiling and cause mold growth. The primary cause for mold growth in homes in San Antonio is water leakage from roofs and walls. This can lead to a large clean-up situation and an even larger bill. It will also be a safety risk for your family and pets. Roof leaks are risky, and most times, expensive too. When left unattended, even a small leak can penetrate into your insulation, ceiling, deck, and other areas. The longer the water stays in those areas, the more damage it will cause, and the more expenses you will rack up in repairs. Have you noticed any issues with your roof like missing or curled shingles? Have severe weather conditions hit your area, and as a result, now your roof is leaking? Don’t panic! The experienced San Antonio roofers can easily repair leaks. With a free estimate, they will help you make a clear decision. They will inspect your roof system and a provide clear solution for roofing in San Antonio.